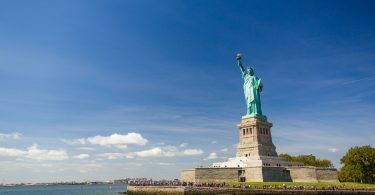 If the Statue of Liberty best represents the East Coast, the Hollywood sign in Hollywood, California is certainly a close second for the West Coast. This sign has obviously been photographed endlessly since it first became a permanent landmark in 1923. In those days it said “Hollywoodland” as a marquee for a city and lifestyle representing the movie industry. Even after the Hollywood Chamber of Commerce removed the “Land” during a 1949 restoration of the sign, it’s become the true emblem of the Hollywood mystique. Those of you visiting the Los Angeles or Hollywood area need to capture at least a few Hollywood sign pics. The vantage points for taking pictures are numerous, though it depends how close you want to get. If you want to visit the best place to take pictures of the Hollywood sign from your car, the best place is on Canyon Lake Drive (put 3000 Canyon Lake Drive into your nav), which gets you closest to the landmark on wheels. Canyon Lake Drive offers some great photographic angles. With a close-up lens, you can create the illusion you’re within feet of the sign. In reality, you’ll be some distance away, though you’re able to achieve different distance shots with the hills and homes in the foreground. 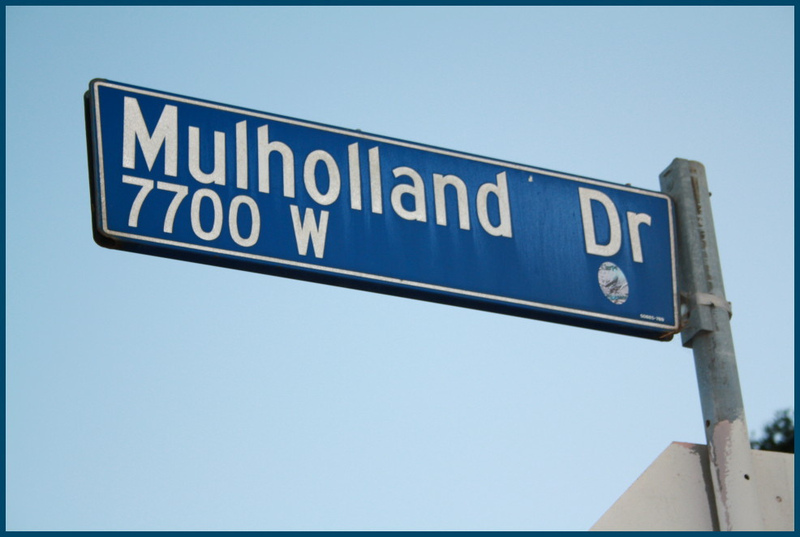 You might already be familiar with Mulholland Drive. This road snakes through the hills and is lined with homes of celebrities and Hollywood millionaires. It’s also offers one of the best views of the Hollywood sign. You’ll find it similar to Canyon Lake Drive above, except with one specific viewpoint. You’ll find this viewpoint when driving from Cahuenga along Mulholland Drive. Here, you’ll find a parking lot and outstanding panoramic views of the sign. Known as the Hollywood Bowl Overlook, you can get shots of the sign, plus Hollywood Bowl, and Griffith Park. For a short road trip in the L.A. area, consider this location first. This road isn’t far away and gives you clear views of the sign from multiple angles. Residents here tolerate tourists coming through the area on a regular basis to take photographs. Be courteous to the neighbors and their property. Regardless, it’s a great place for a panoramic sign shot, as well as a potential selfie. You have plenty of space here to get you or your family standing in front of the sign to prove you were really there. As always, smog is a problem in the Hollywood area. Expect a little of that in your picture for the atmosphere. 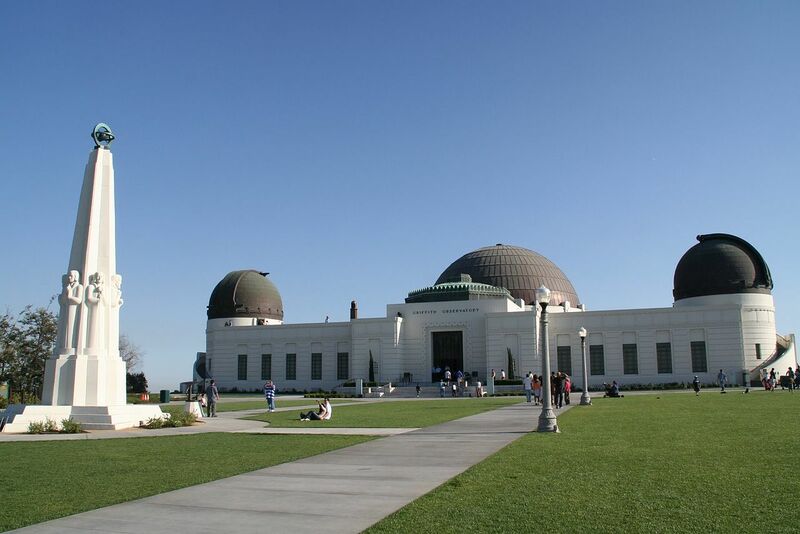 Since Griffith Park isn’t far away from Canyon Lake Drive above, you may want to combine the two and visit the observatory. You can get some great shots for the view of Hollywood sign from Griffith observatory as long as you have a telephoto lens. If not the very best place to photograph the sign, it’s still a must visit for large panoramas of the entire Hollywood area in one shot. 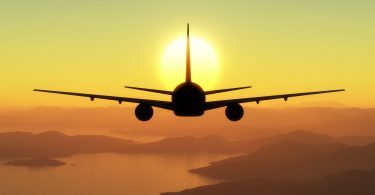 Plus, the Griffith Observatory view is a worthwhile stop! Tourists flock to this specific bridge to take photos of themselves with the sign. 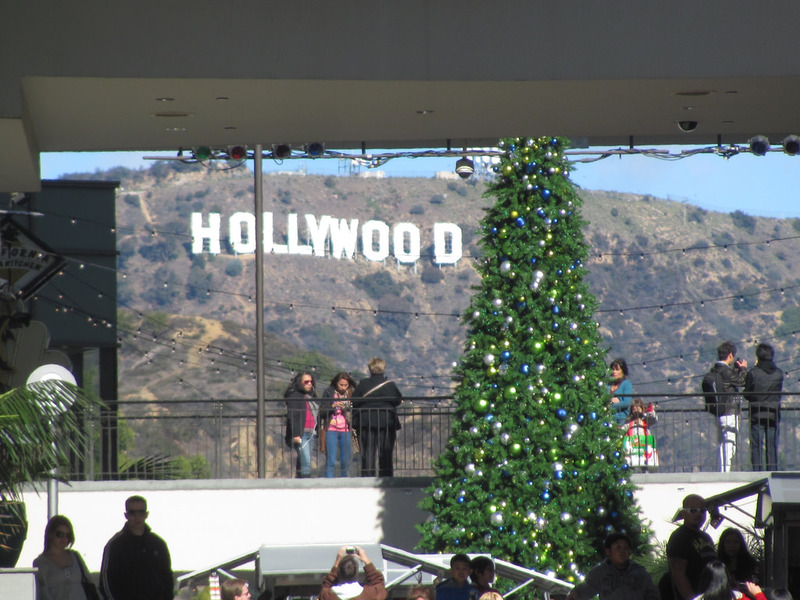 Go to Hollywood Boulevard and you’ll find this center hub bringing you shopping, dining, and entertainment at every turn. Because it’s a multi-level facility, you can go to the top floor and get some great Hollywood sign shots. If you have trouble climbing stairs, the center has escalators to get you to the third or fourth floor. It’s here where you’ll find an observation deck with plenty of space to take your photos- once you dodge the tourists. 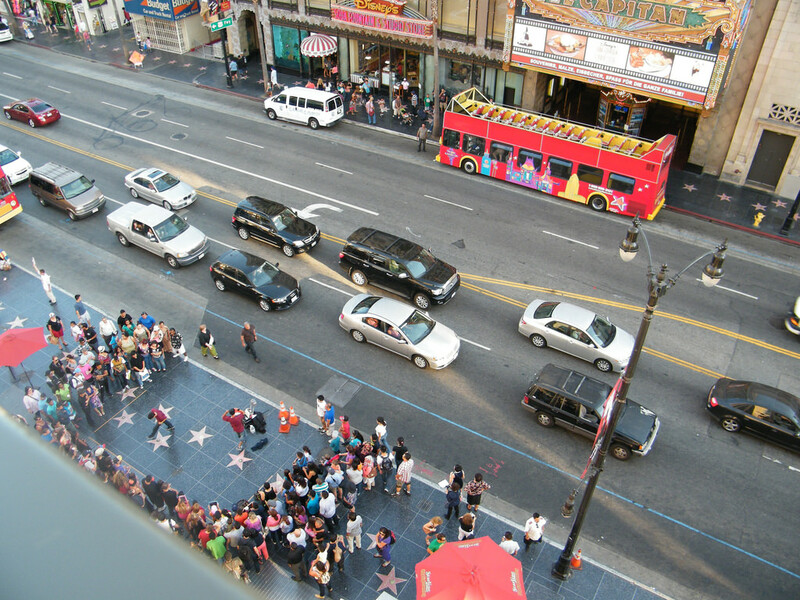 Just walk this famous Hollywood Walk of Fame street and you’ll be able to see the sign from a distance. Many people prefer taking photographs of it here because you can add other landmarks in the foreground for context. 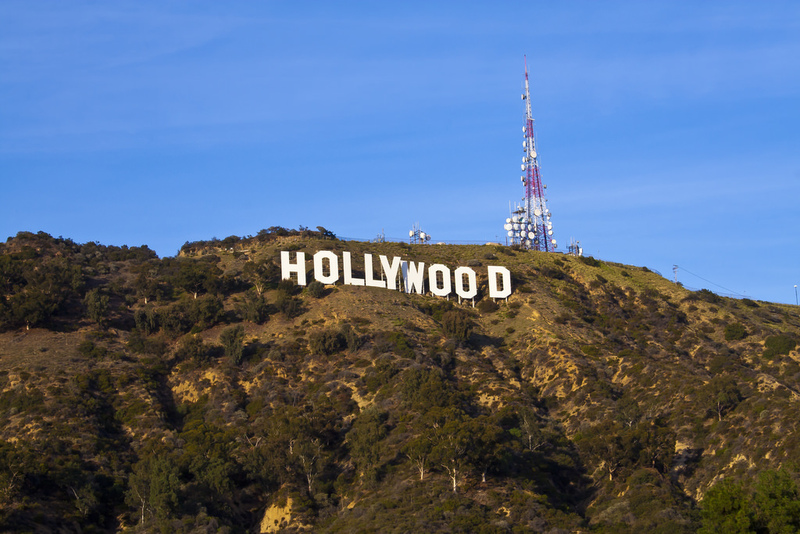 Need a hotel near the Hollywood sign?